Elmer Nathan Corwin was born on December 3, 1926 in Newburgh, New York. 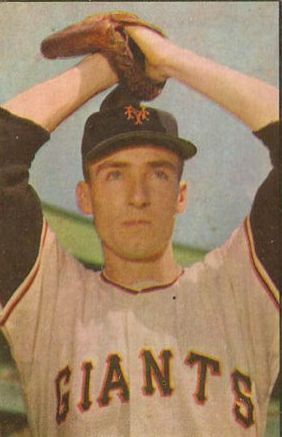 The right handed pitcher was signed as an amateur free agent in 1948 by the New York Giants. He was called up at the end of July 1951, during the incredible Giants pennant run of 1951 as they were chasing the Brooklyn Dodgers. 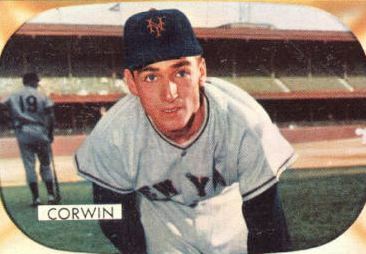 Corwin debuted in Pittsburgh on July 25th & in his first start he went 7 innings allowing four runs getting no decision. In his second start, he beat the Chicago Cubs at Wrigley Field, with a seven hit shutout performance. He started out the season 4-0 going into mid August & became a great mid season call up. Corwin had a fine year being used as both a starter and reliever. In the September pennant chase he made just three appearances. He went 5-1 with a save and a 3.66 ERA in 15 games. He sat on the bench in amazement as Bobby Thomson’s HR won the pennant in the last game of the season. He said “I didn't think it had a chance to get out at first. When it did I remember sitting there stunned for a couple of seconds until I realized what it meant." He made one appearance in the 1951 World Series pitching 1.2 innings in Game #5, allowing no runs on one hit. He returned in 1952 he pitched at AAA Minneapolis, getting called up to New York in August. He was used mostly as a reliever going 6-1 with a 2.66 ERA and two saves. 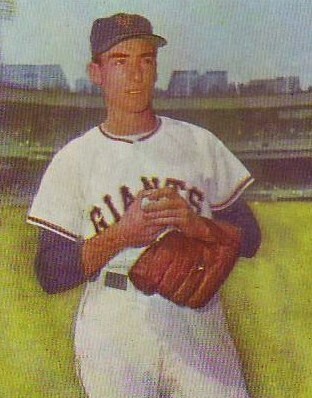 In 1953 he had his first season where he was with the Giants all year. He pitched a career high 48 games, going 6-4 allowing a career high 59 earned runs, with 17 HRs and posting a 4.98 ERA. At the plate he was a fantastic hitter, going 9-32 with a .281 average, hitting 2 HRs with 4 RBIs. Over the next two seasons he had arm troubles which eventually ruined his career. He went 1-3 with a 4.03 ERA in the Giants 1954 World Championship season missing over two months of action in May & June. He did not pitch in the World Series. In 1955 he only pitched in 13 games, going 0-1, before needing the arm surgery. He toiled in the minor leagues until 1960 before officially retiring after a five year career. He posted an 18-10 career record, with five saves and a 3.98 ERA in 117 appearances. He walked more batters (156) than he struck out (142). Retirement: After baseball he went into the plumbing fixture business, forming his own company making brass plumbing accessories in the Chicago area. He retired in 1994 and passed away after a long battle with cancer on October 23, 2003 at the age of 76.